1. 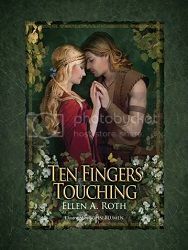 What inspired you to write TEN FINGERS TOUCHING? 2. What’s the significance of the title? 3. There seems to be resurgence in fairytales. From TV’s Once Upon A Time to the film Into the Woods starring Meryl Streep, fairytales are more popular than ever. Why is that? 4. What was your favorite fairytale growing up? 6. Tell us more about your main characters, Marianna and Martak. What was your inspiration for these characters? 7. Why are there Pittsburgh references in TEN FINGERS TOUCHING? 8. How did you find illustrator John Blumen? 9. What do the illustrations add to the fairytale? 10. What was the process like deciding on the final cover? 11. When you were writing TEN FINGERS TOUCHING, did you know what you wanted your characters to look like? 12. How long did it take you to write this book? 13. What was the most challenging part? 14. While many people think fairytales are only for children, adults enjoy reading them too. Why? 15. Without giving away too much, what is your favorite scene in the book? 16. As a successful business woman who runs her own company, finding time to write a novel must have been an interesting experience. How did you juggle your full time job while spending your off hours writing this book? 17. What lessons did you learn while writing the book? 18. Are you planning to write any more fairytales? 19. Are there any other genres that you would like to dabble in? 20. Any thoughts about turning TEN FINGERS TOUCHING into a movie? If so, who would you like to see play Marianna and Martak? Published: December 1/14 by Getting to the Point Inc. I was fully absorbed in this story, the rest of the world falling away while I lost myself in its pages. Roth’s elegant prose melds perfectly with the eloquently told tale. The characters are loveable. They’re also believable and ideally suited to their roles in the story. This novel transcends all ages and will easily stand the test of time. This book itself is beautifully put together. The layout reminds me of an illuminated manuscript, adding another layer of enchantment to the tale and giving the feeling of being drawn back in time. The illustrations are enchanting and truly enhance the story. 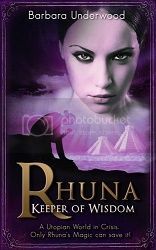 They combine with Roth’s vividly picturesque descriptions to bring the entire tale to life. Don’t get me wrong. Even illustrated this story is fantastic, but with them it’s breathtaking & unforgettable. This really is a visually and intellectually appealing work of art. The breathtaking illustrations combine with the intriguing plot to create a quick, unforgettable read for the audience. It will be loved by women of all ages. It’s the type of story that a mother and daughter can enjoy together, that a young woman will devour on her own, and that a grandmother can lose herself in.